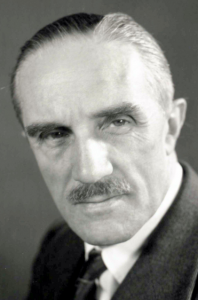 Professor Frank Cunliffe Ormerod presented his Semon Lecture in 1953. In this, he outlined the current knowledge of laryngeal physiology and cancers thereof, as well as possible treatments. He notes that partial laryngectomy is not effectives and so advocates that it isn’t used. Additionally, he documented the necessary margins to be used in surgical treatment. Frank Ormerod was born on the 23rd of August 1894 in Lancashire, England. During his eminent career, he spent a lot of time focussed on medical education and co-founded the Institute of Laryngology and Otology of the British Postgraduate Medical Federation and later went on to become Professor of Laryngology and Otology at the University of London. He also served as President of the Section of Otology at the Royal Society of Medicine.